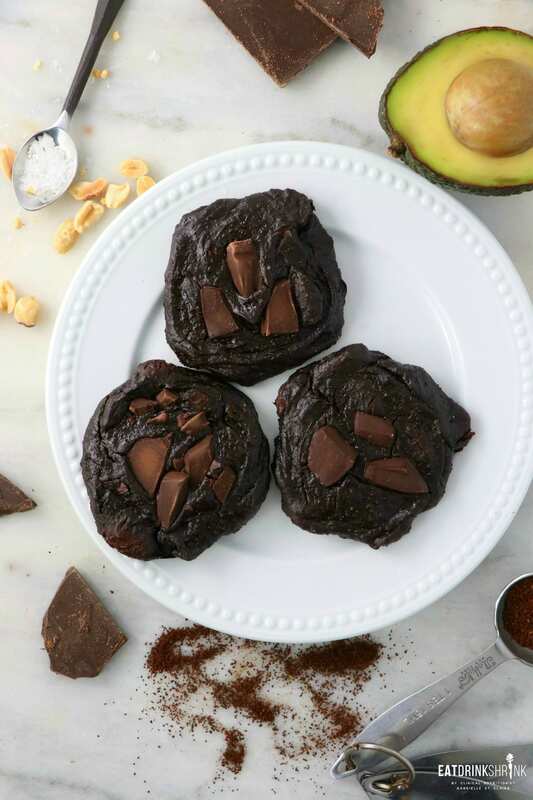 Flourless Vegan Dark Chocolate Avocado Cookies - Eat. Drink. Shrink. I rarely share a recipe on a Sunday, but since I posted this one of social media I got a lot of positive feedback and felt I would share it a day early! In all my baking I always opt for a flour, whether it be traditional flour, almond or coconut, you typically need flour to serve as a binder. However, in hopes to create more effortless concepts that involve less and less ingredients, I thought I would give this minimalist cookie a go.. 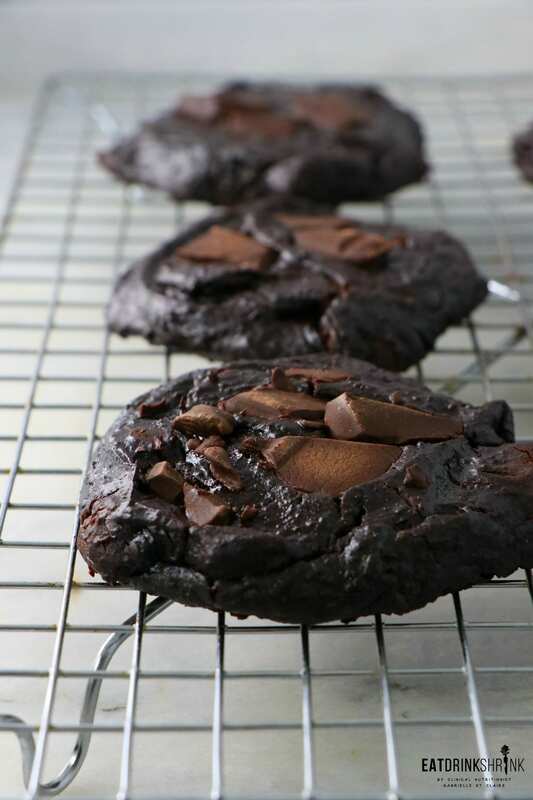 This recipe rocks for every reason! 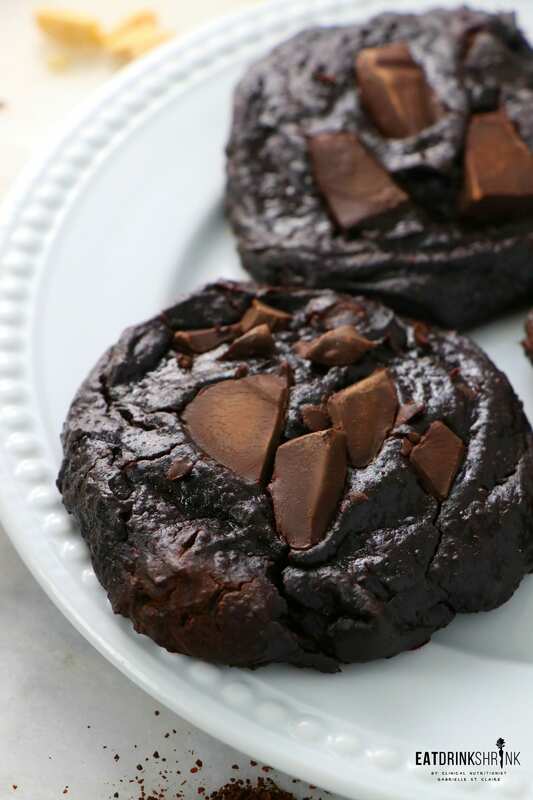 It’s quick, easy, involves a handful of ingredients, packs texture, butter soft (you can under cook them for a more fudge like texture), pack tons of nutrients, rich chocolate flavor with a hint of coffee, won’t dry out like most cookies, and are non vegan approved! 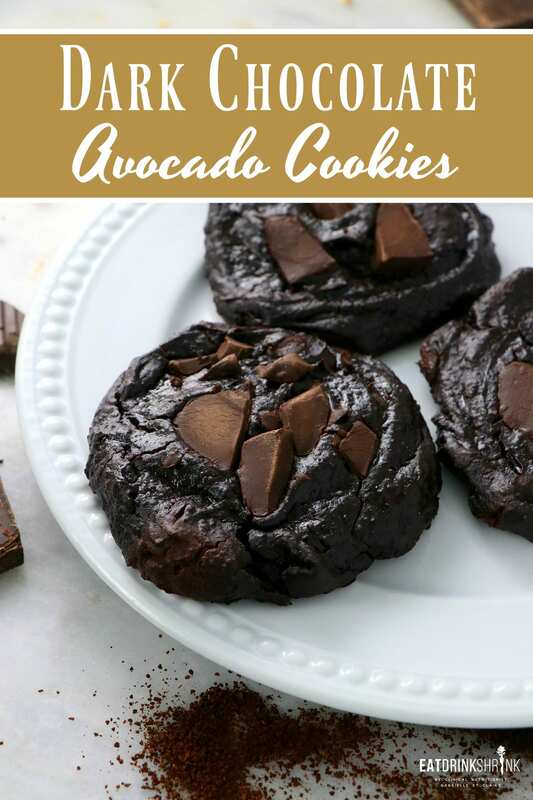 If you love a modern take on cookies that are typically laden with flour and sugar, you have to try this recipe for vegan Dark Chocolate Avocado Cookies! Preheat oven to 350 degrees. Cover a baking sheet with parchment paper. Slightly oil the paper with 1/2 teaspoon of liquid vegetable oil (coconut or peanut oil). This will prevent the cookies to stick to the paper. Set aside. In a food processor, throw everything in and pulse until smooth. Scrape down the bottom and side of the bowl and process for an extra 15 seconds to make sure all the batter is combine - no lumps. 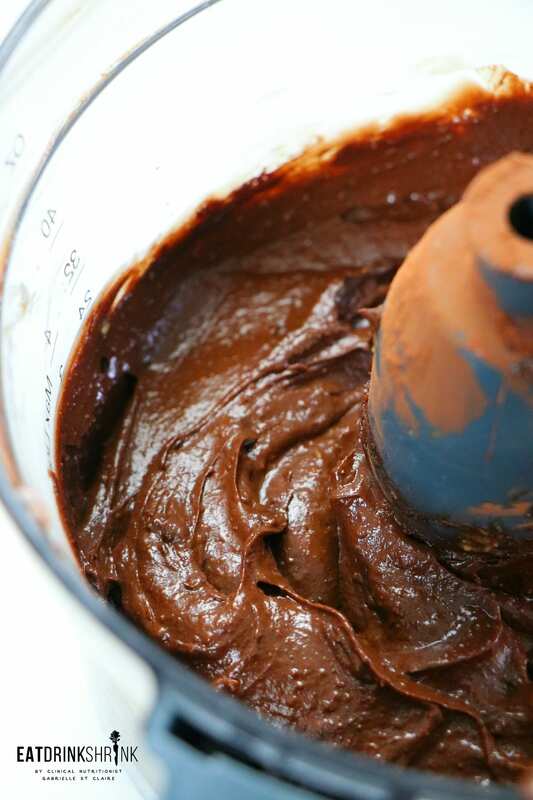 Transfer the chocolate cookie batter onto a mixing bowl. It will bit moist and sticky that is what you want. Stir in chocolate chips. 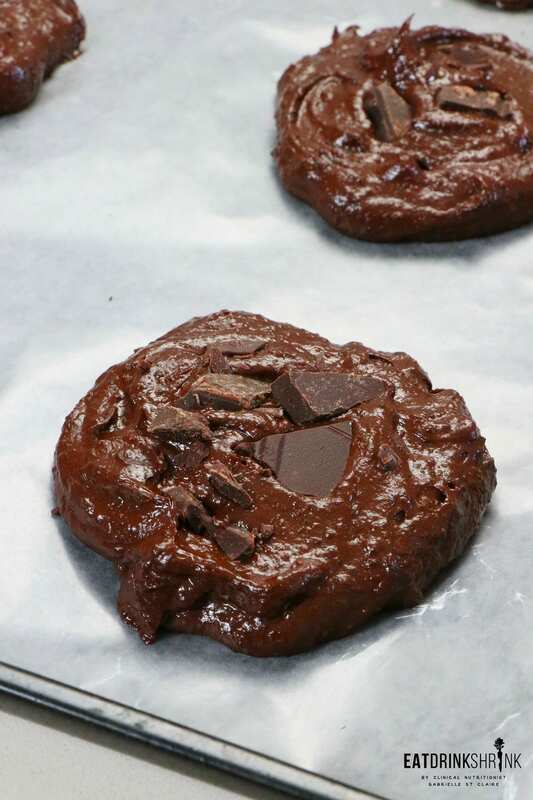 Spoon the chocolate batter onto the baking sheet - You can dip the spoon in cold water first to prevent sticking. Flatten down the cookies. Top with additional chocolate as desired. Repeat until you form 6 jumbo cookies. Bake for 20-25 minutes or until the centers are done. The less done they are the more fudge like the texture will be, which is still good! 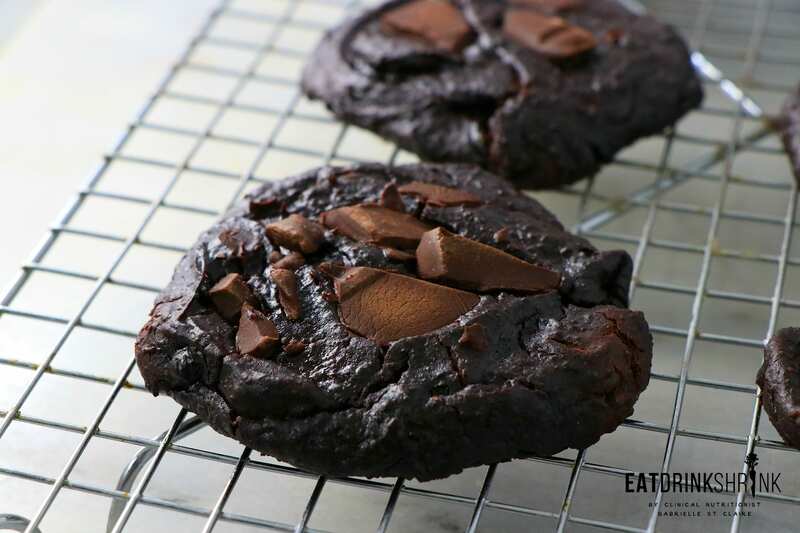 Since there is no raw egg or flour used you have no worries! 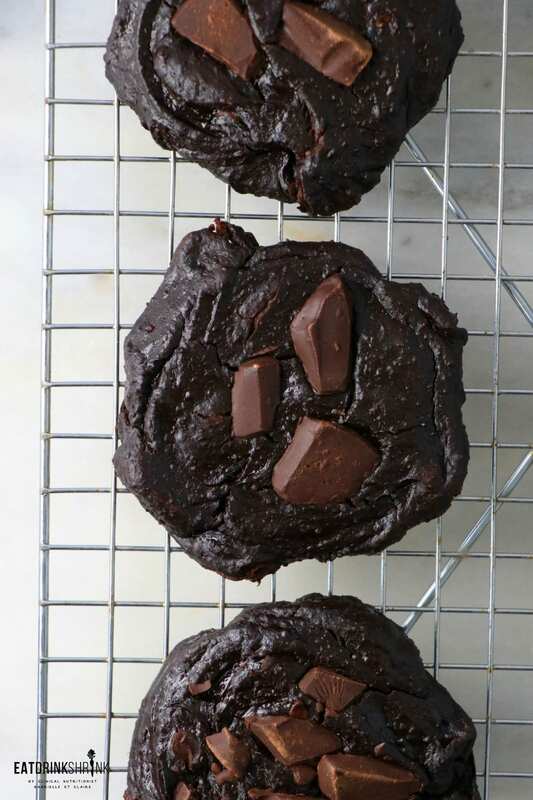 Allow to cool for 10 minutes, and use a flat spatula to remove them. transfer onto a cooling rack to cool down completely and firm up for at least 30 mins to 1 hour. I believe I just pressed them on top. You can mix them in if you like!